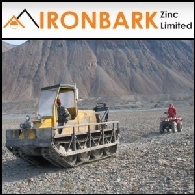 Ironbark Zinc Limited (ASX:IBG) (OTCMKTS:IRBGY) is listed on the Australian Securities Exchange and is seeking to become a base metal mining house. Ironbark seeks to build shareholder value through exploration and development of its projects and also seeks to actively expand the project base controlled by Ironbark through acquisition. The management and board of Ironbark have extensive technical and corporate experience in the minerals sector. 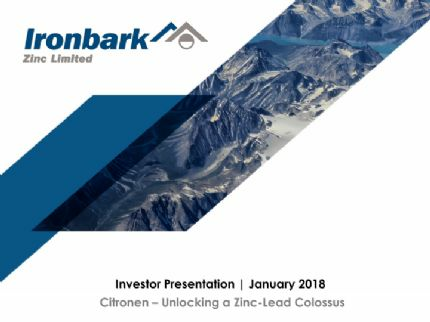 The wholly owned Citronen base metal project currently hosts in excess of 13.1 Billion pounds of zinc (Zn) and lead (Pb). Full details refer to ASX announcement 25 November 2014 - Citronen Project Resource Update - JORC 2012 compliant resource.